Gluckman reports to recently appointed Siteworx CEO Ken Quaglio. RESTON, VA: Digital agency Siteworx has snapped up Glover Park Group VP Brian Gluckman as principal strategist, a newly created role for the firm. 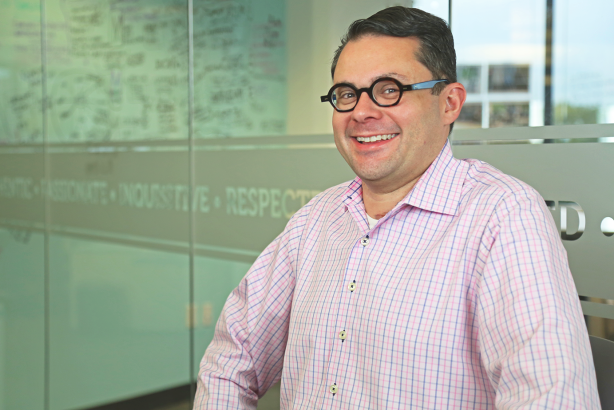 Gluckman joined Siteworx on Monday and reports to the firm’s newly minted CEO Ken Quaglio. Until Monday, Siteworx founder Tim McLaughlin had been in the chief exec role at the firm since 2002. McLaughlin is now chairman of the Siteworx board. The number of staffers Gluckman oversees at Siteworx is yet to be determined. Gluckman is responsible for working with a team of strategists to help clients create digital experiences to serve the needs and wants of their customers, he explained. "I am helping Siteworx clients see how digital can support their overall business strategy," said Gluckman. Siteworx clients include Time Warner Cable, Citrix Online, and Mandarin Oriental Hotel Group. In addition to Gluckman’s appointment, Siteworx recently hired Lisa Brown as CFO and Greg Johnston as executive creative director. Gluckman exited his role as VP at Glover Park Group on May 22. He had been at the company since September 2011, leading the development and deployment of all strategic communications activities for transportation and infrastructure clients in the automotive, clean energy, and smart growth sectors. Jason Miner, MD at Glover Park Group, told PRWeek that Gluckman’s replacement at the firm has not yet been named. Previously, Gluckman served as Meredith Xcelerated Marketing’s strategy director. Before that, he was media relations manager for AutoTrader.com. Gluckman was one of PRWeek’s 40 Under 40 honorees in 2009.